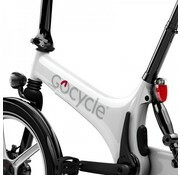 Electric bikes remove barriers to cycling and can dramatically increase how often you ride. 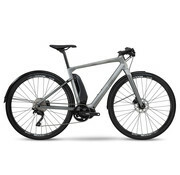 Assistance from the bike’s electric motor makes it easier to travel further, reach higher speeds, maintain a higher average speed, and climb challenging hills, with the option of not breaking a sweat. 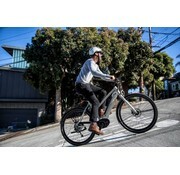 E-bikes help eliminate the stresses of commuting. You’ll always have a great parking spot, and you’ll never sit idly in traffic. Thanks to e-assist you can get to work quickly, and you won’t arrive sweaty and out of breath. Electric bikes also make running errands a lot easier. 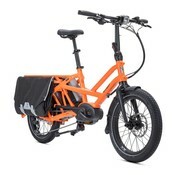 Taking the kids to school, picking up the groceries or dropping off a package at the post office with an e-bike is much easier than with an ordinary bike as the additional weight of your cargo does not increase the amount of effort you need to provide. We offer plenty of carrying options so you can haul everything from gardening tools to golf clubs to growlers. Save money on gas and parking fees while placing less wear and tear on your car. E-bikes make it easy to get the exercise you need, especially when riding is part of your everyday routine, such as your commute to work. 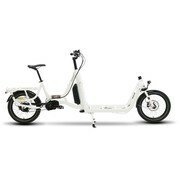 Even with an electric motor, you get a moderate workout comparable to brisk walking or an easy jog. You get all the health benefits of riding a bike—plus the ability to customize your riding experience. You control how big of an assist you get. You can even turn off all assistance on flats and downhills. 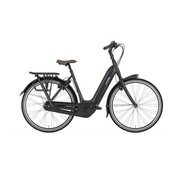 Electric bikes give you the freedom to choose the speed and effort that feels comfortable for you. Riding an ebike is a lower impact workout that continuously engages your core and strengthens it as you balance while riding. Because it has less impact on your joints, you won’t experience the pain or soreness after a long ride. All of this increases the likelihood that you’ll ride more often. 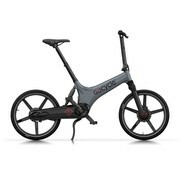 When we see e-bikes in for regular maintenance the amount of miles on the odometers is impressive. E-bikes tend to get ridden more! 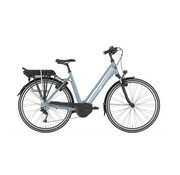 E-bikes make cycling possible for a wider range of people. When it comes to hauling heavy cargo, the added power can mean the difference between using your car or enjoying all the benefits biking has to offer. As heavy loads and steep hills present the most obvious need for assistance, the majority of our electric offerings are cargo and family oriented. 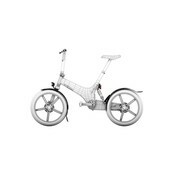 We also stock electric models suitable for fun and fast personal transportation, in both folding and traditional formats. A compact utility bike ready to replace your minivan. Fits anywhere a standard bike can. A compact utility bike that carries it all. Enormously Useful. Surprisingly Small. Eight and a half feet of cargo hauling happiness. No sweat required. 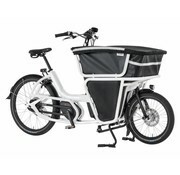 An electric cargo bike perfect for zipping around town and taking care of business. 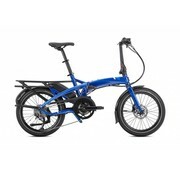 One of the lightest, most versatile ebikes around. Dignified, upright ride with hidden powers. 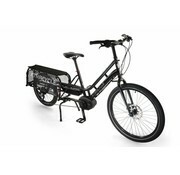 A compact, extremely sturdy 10-speed e-bike designed to carry heavy loads. A 9-speed e-bike for errands or adventures. Bosch Performance at a sweet price. Fully-outfitted and ready to zip. 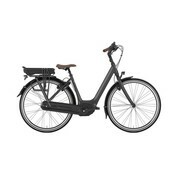 Your dream electric Dutch bike!